The staff was very welcoming and they were great with us and our friends, whom were travelling with us. Nice clean apartments with spacious living room , bedroom and Kitchen. 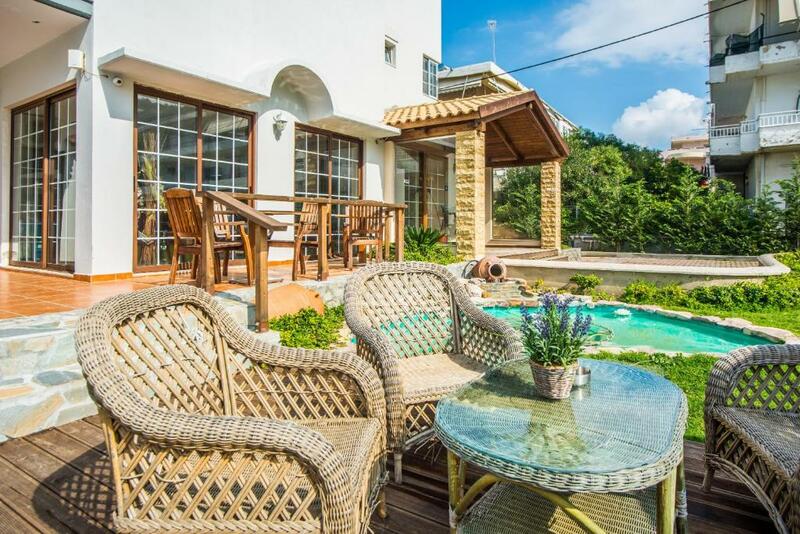 Location is perfect, quiet and close to restaurants, supermarkets and the beach. Staff was very friendly. Anything we needed and asked for was provided. This is definitely the right place to stay, a perfect starting point if you want to travel around the island and visit all the beautiful beaches. The apartment and the structure itself had everything we needed, however the cherry on top was the staff, always kind and helpful at any time of the day and night! The beds were very comfy, the staff were amazing and couldn't do enough for you. The apartment was very clean and cleaned every day. It was very quiet and an ideal place to be away from the 'all inclusive' concept that Rhodes Town seems to have adopted. It was close to 3 supermarkets and about a 10 minute walk to the beach. Restaurants were just over a 5 minute walk away with plenty of variety. The bus stop was about a 5 minute walk away as well. The pool was spotlessly clean, the cleanest we've ever seen and there was a big garden to add to the pleasant surroundings. Very friendly staff and very nice, spaceous room! Great pool and grass area for our baby. Excellent value for money. One of the best hotel and services!!! Thank you a lot for everything and I can't wait to comeback again. Exceptional from start to finish. 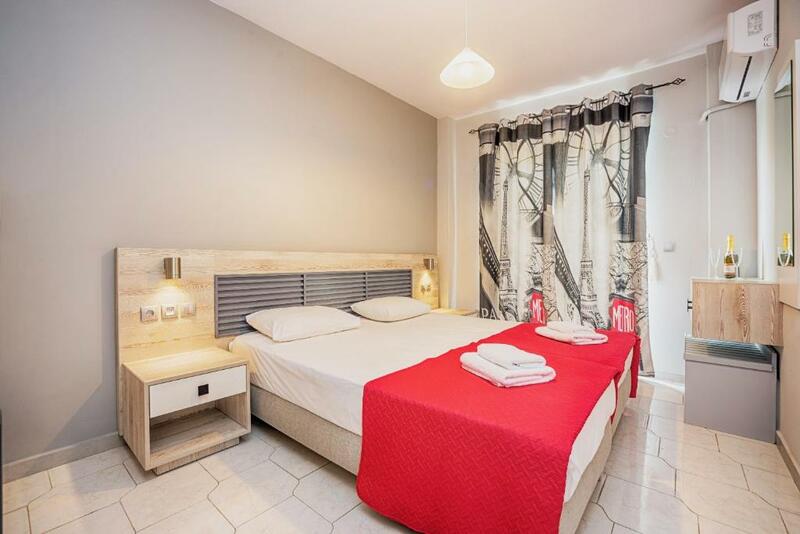 Spotless rooms, great pool and nothing was too much trouble. Would recommend in a heartbeat. Very friendly and helpful staff. Hotel very clean and quiet. 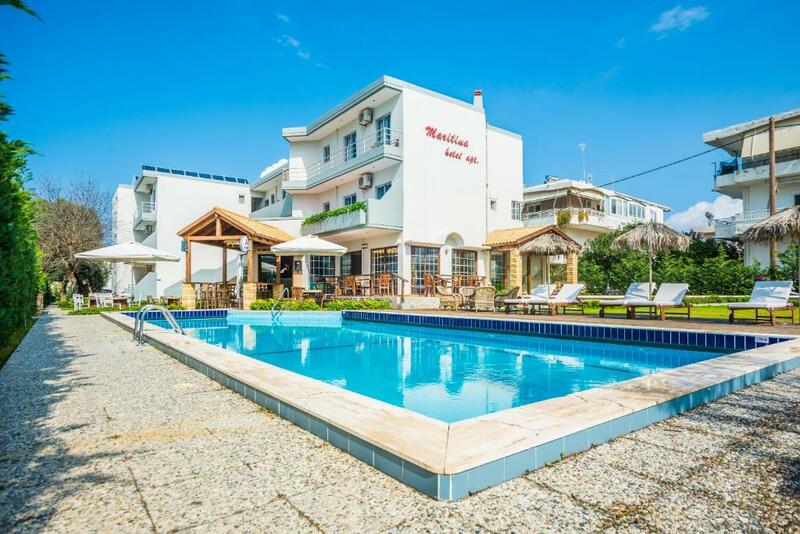 Lock in a great price for Maritina Apartments – rated 9.1 by recent guests! 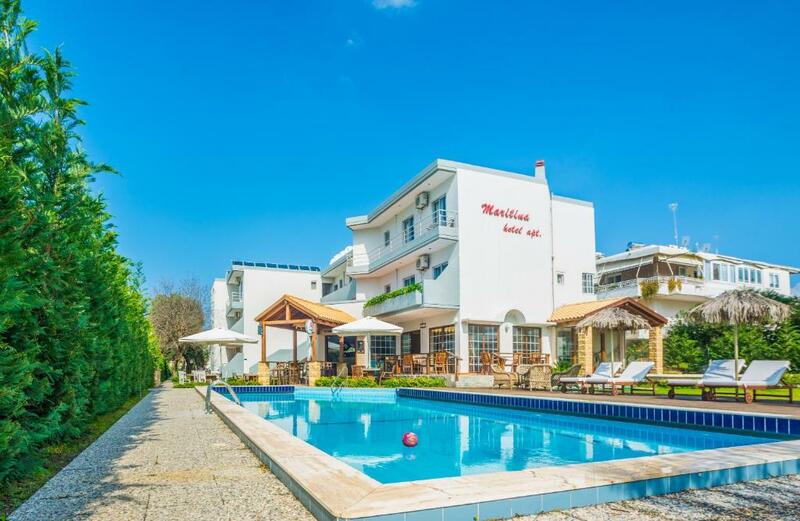 One of our top picks in Ixia.Located in Ixia in the Rhodes Region, Maritina Apartments features an outdoor pool and views of the pool and the hotels garden. Rhodes Town is 3.7 mi from the property. All units feature a seating area. Some units have a terrace and/or balcony with garden views. All units include a kitchen fitted with an oven and fridge. A stovetop and kettle are also featured. 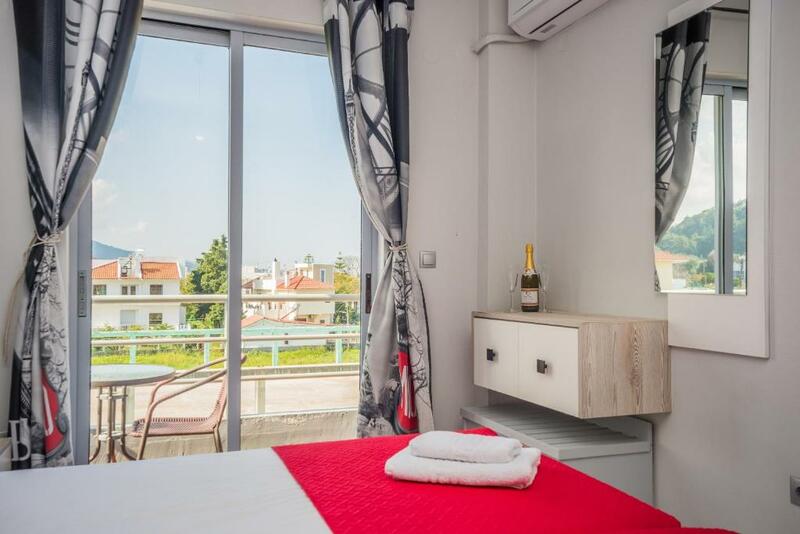 Each unit is fitted with a private bathroom with a bath or shower. Towels and bed linen are provided and changed every 3 days. Guests at Maritina Apartments can enjoy a drink at the on-site bar. 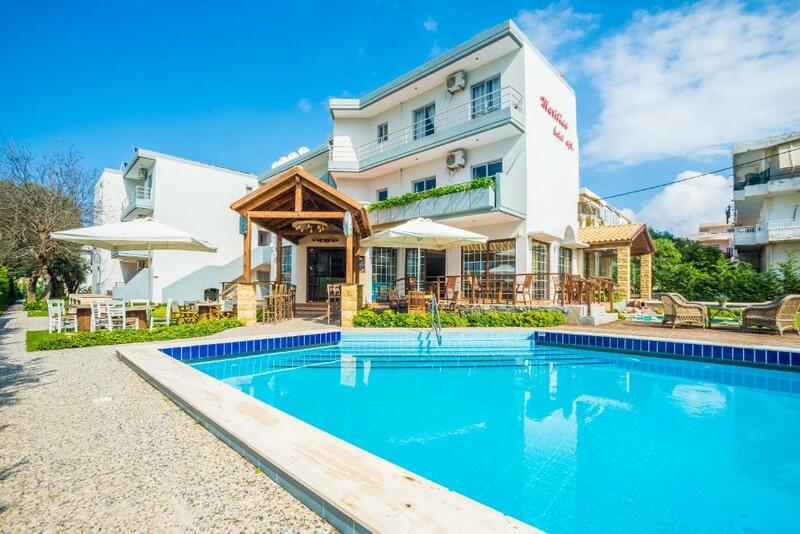 Faliraki is 9.3 mi from Maritina Apartments, while Kallithea is also at 9.3 mi. 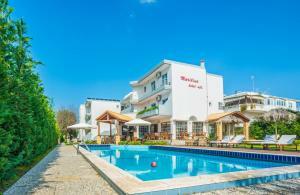 The nearest airport is Rhodes International Airport, 5 mi from Maritina Apartments. When would you like to stay at Maritina Apartments? This apartment has a balcony overlooking the hotels swimming pool. A kitchen with stovetop and certain cooking and cleaning amenities is featured. This apartment has a balcony overlooking the hotels gardens. A kitchen with stovetop and certain cooking and cleaning amenities is featured. This apartment has a balcony and a garden. A kitchen with stovetop and certain cooking and cleaning amenities is featured. House Rules Maritina Apartments takes special requests – add in the next step! Maritina Apartments accepts these cards and reserves the right to temporarily hold an amount prior to arrival. Please inform Maritina Apartments of your expected arrival time in advance. You can use the Special Requests box when booking, or contact the property directly using the contact details in your confirmation. The showers were a little small and overflowed. But they was fixing them whilst we was there anyway. the staff were friendly. good location. Room was clean and well equipped. supermarket and restaurants were nearby. parking - while on the street was free and easy to get. Difficult to find something negative. Streets around hotel were not very clean so walks to the beach were not very pleasant. Nothing to criticise, our stay was amazing. Location - just off the main road in Ixia so away from the traffic noise, but 5 mins walk to bus stops, ATMs, loads of bars and tavernas and the beach. 10 min bus ride into Rhodes Town (€2.20 euros). Accommodation - really spacious, well decorated, large kitchen/living area, great sized bedroom with air con. Terraces and balconies. Brand new washing machine with 15 min cycle and drying racks provided. Apartments are cleaned every day. The bathrooms are the one part that haven’t been refurbished throughout yet, but they are functional and clean, plenty of hot water and the shower water pressure is good. Facilities - lovely bar area, garden and pool area with lots of sun loungers. All very well maintained and very clean. Breakfasts and snacks are freshly cooked. The cats are lovely and real characters but they don’t harass you when you’re eating. Staff - absolutely awesome! Giannis, Andreas and the team are just fantastic. Very friendly and helpful. Will recommend restaurants, book trips, help you rent a car without rip off prices, anything they can do to make your stay as good as possible. They are rightly proud of their fledgling business, and have great plans for further improvements. Everyone is treated like an old friend by every member of staff, but it’s not over-powering or false. We checked out of our large apartment by noon and were given a smaller room to store our luggage in so we could rest and have a shower before our late night flight. Made out last day so much more comfortable. This was at no extra charge. I cannot day enough good things about Maritina. Excellent family run establishment with great facilities. All the staff friendly and professional. Would recommend and will be returning. Well-presented room, v comfortable for our needs. Washing machine was very handy. We had everything we needed in the apartment and the manager was very helpful if we had any issues. There was a construction site next to the apartments, but this is not something that can be controlled. The location of the apartments is very convenient. It close to Rhodes town, also you can easily reach the eastern part of the island. There is a big supermarket on the main road which can be reached by foot and nice Giros house on the corner for quick lunch and dinner. Down the main road on a walking distance there are also several good traditional and Italian restaurants. The apartment was clean with a small kitchenette that we used to prepare breakfast. I would be good if there was a toaster :) It is also nice to eat your breakfast on the balcony and prepare the plan for the day. The staff are really nice people, they expected us even if we arrived late in the evening. This hotel is superb - comfortable and quiet but with Rhodes old town and the airport within easy reach. The staff are friendly and very helpful (including cooking a meal for us when we arrived after a late flight) - recommending places to visit and good eateries. Restaurants and supermarkets within a short walking distance. The room was spacious with a shady private terrace and little garden with easy access to the pool, which always had free loungers. Altogether a wonderful stay. The fact that the comments did not reflect the reality. The location was so so. The apartment was ok but limit. Bath room was clearly poor ! Dimension of the shower, without curtain or glass wall was ridiculous.